Remote 3rd Channel needle used for fine tuning your nitro model while driving with a 3rd channel. Blow plugs, use the blow plug by screwing into your nitro motors in order to flush out your motors at the end of the day. 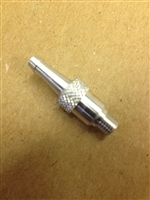 Aluminum fuel line plugs. 3 per package. 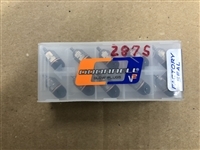 K&B HP7300 glow plugs. 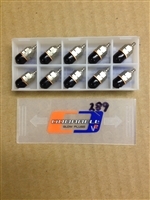 7300's is a cold plug used in medium to high nitro content fuel. Choose from the drop down menu which size you want Bulkhead fitting - perfect to route water lines through your hull in a water tight fashion. 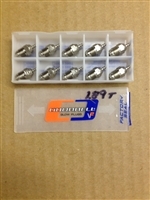 IV Bag Inserts Irwin 1oz Hopper Tank, perfect for those 20 and 40 mod tunnel boats where you need just that little extra bit of fuel. 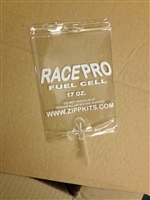 (4) fuel line clips per package. 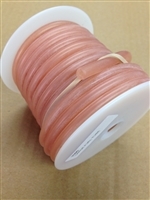 Choose from the drop down, Large 1/8" ID, or Medium 3/32" ID Prather Large Fuel Tubing is sold either by the foot or by the roll. One roll is 30'. If buying by the foot, please select by the foot and enter desired length in quantity. If buying by the roll, please select by the roll. 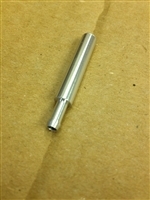 Dubro Fuel Tubing sold by the foot or by the roll. One roll is 50'.